Bring your 3D acrylic design to life with this LED light base that features seven unique RGB colors. This light base will accommodate substrates with a thickness up to 1/8" and is lightweight to allow for versatility from event to event. Slot size is 1/8" x 3-1/8" and 9/16" deep. The light will be visible in a piece up to 12" high. The etched design will impact the light's path. You have the choice to rotate through the different colors or only display one at a time. 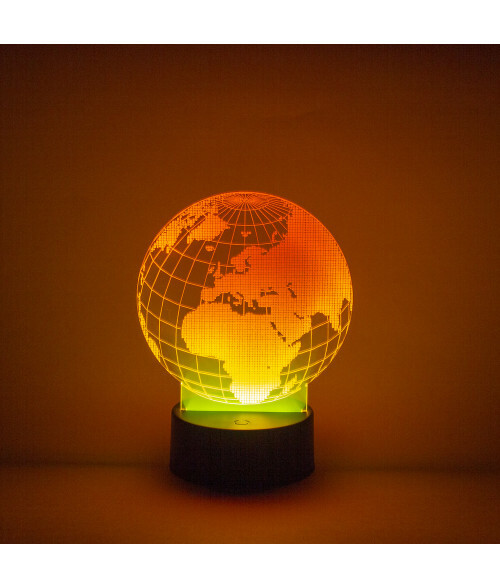 This light base comes with a USB power cable and has 7 RGB Colors. Light base also runs on 3 AA batteries (not included).